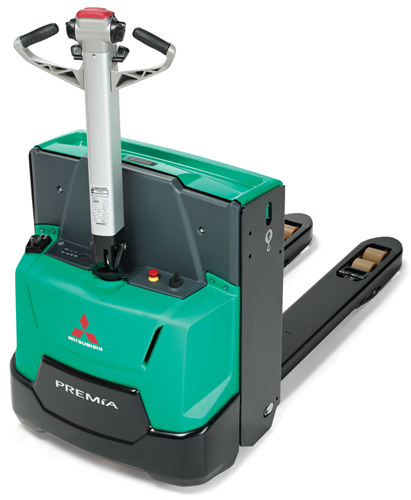 High stability and a market-leading lift height allow easy operation on uneven surfaces. 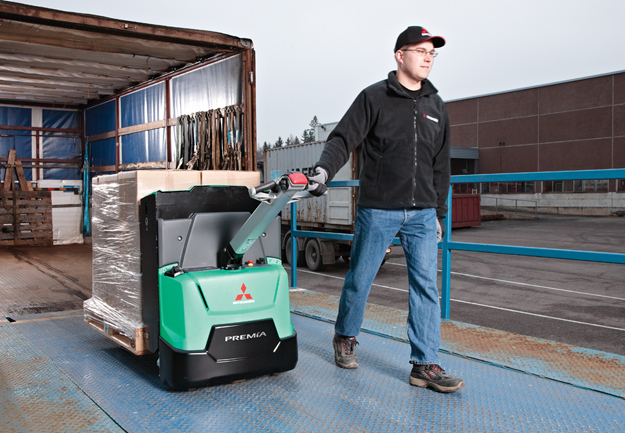 Outdoor operation is possible in all weather thanks to protection of the chassis and electrical systems against rain and splashing water. 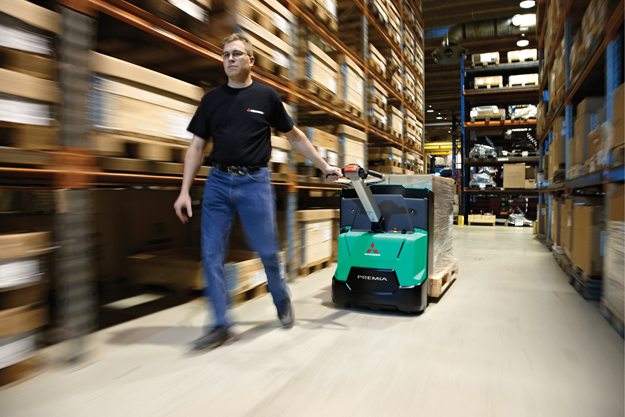 Low-maintenance design, with no vulnerable components, minimises the chance of breakdown and lowers servicing costs. 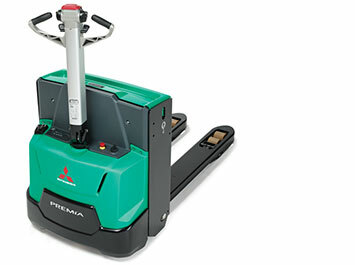 For extra versatility, operators may choose between two performance modes via the key switch. 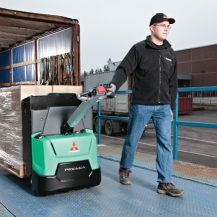 In all models the state-of-the-art, simple-to-use tiller arm design protects hands and places everything within easy reach for safe, comfortable, controlled operation. 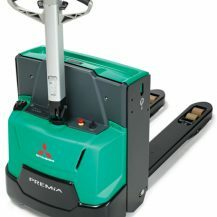 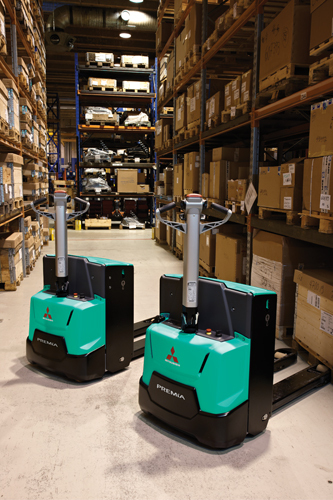 Whether you are upgrading from a hand pallet truck, doing short shuttle work or looking for a truck prepared to go the distance, there is a PREMIA model which will meet your needs. 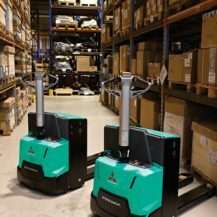 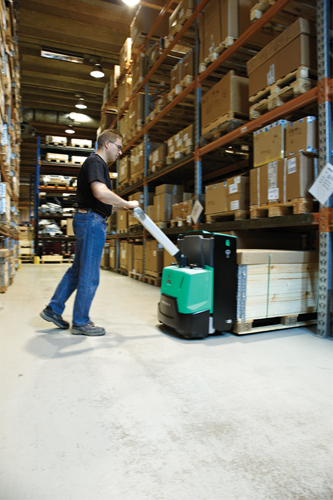 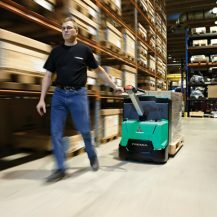 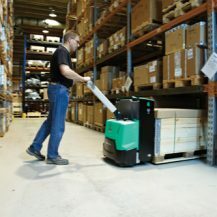 Developed for non-stop performance in the most challenging environments and the tightest spaces, PREMIA ES pedestrian power pallet trucks offer you a comprehensive range of transfer possibilities.